This all new light has the same great patented, self-righting technology with a new look. Still ideal for applications requiring temporary high output lighting for areas up to 75 feet in diameter. 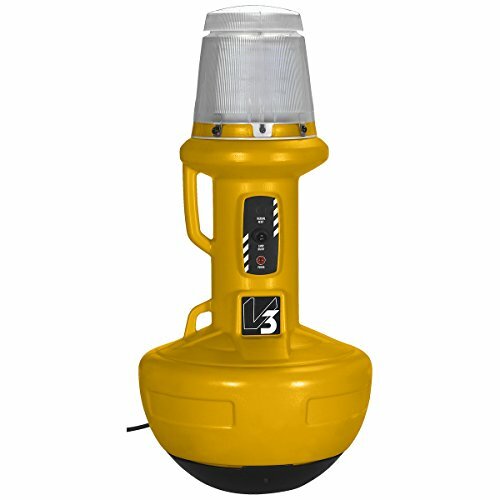 This new look features an integrated carry handle for ease of portability, LED panel technology producing 15,000 lumens, 200 watts, rated for temperatures as low as -40° F, an integrated cord to give the unit a “Suitable for wet locations” (IP55) rating, an On/Off Switch, and an integrated hoist/security point. Developed for the professional tradesman, the all new Wobble lightV3 LED is durable enough for the harshest conditions. If you have any questions about this product by Wobble Light, contact us by completing and submitting the form below. If you are looking for a specif part number, please include it with your message.